The equity research team at Calamatta Cuschieri recently made available to its clients a report on GO plc (GO), whereby it was given a “HOLD” recommendation with a one-year target price of €3.52, giving a potential capital upside of 2.8% to the current price of €3.42 as at the date of this writing. Furthermore, GO has constantly increased the amount of dividends paid over the past four years and it’s currently offering an attractive net dividend yield of 3.8%. 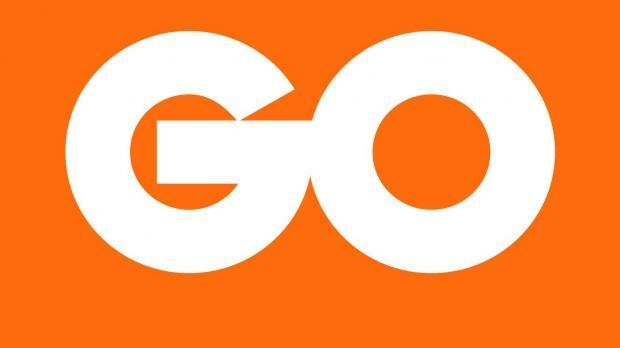 GO is a converged and integrated telecommunications group and the first quadruple play operator in the Maltese market. The Group offers fixed-line and mobile telephony, data and TV services for consumers and business clients as well as data centre facilities and ICT services to business clients provided by its subsidiaries BMIT and Kinetix. In January 2016, GO acquired 51% of Cablenet, leading provider of high speed broadband, TV and fixed-line telephony services to personal and business clients in Cyprus. Therefore, Cablenet was consolidated in the Group’s financial statements. • Dividends – Increasing dividends in the last four years. We don’t see the dividend at risk in the short to medium term. On the contrary, we expect dividends to increase on the back of the expected increasing profitability of GO. At the current market price, the shares are trading at an attractive net dividend yield of 3.8%. • Growth potential in Cyprus – In addition to the investments made by Cablenet both in infrastructure and marketing to lay down the basis to sustain further growth in future, Cablenet entered the Mobile sector in Cyprus at the end of 2017, becoming a quad-play communication operator, to potentially increase its customer base and market share. • Profitability - the Group has shown increasing normalised profitability in the past years supported by the growth in the Maltese and Cypriot economy and in particular of the telecommunication industry. In 2017 the Group’s EBITDA increased by 6.4% (+€4 million) despite the increased investments in Cyprus. Finance costs decreased by 35% since 2016 following the repayment of part of the Group’s bank borrowings. We expect the Group’s profitability to continue increase in future as the investments in Cyprus come to fruition and marginal revenue growth rates are sustained by the positive outlook in both the Maltese and Cypriot economies. • Market presence – strong presence in the Maltese market across all the telecommunication segments, although during 2017 it lost some market share especially within the fixed broadband and fixed telephone segments. • Risk to the business model – We attach a medium risk to this business model due to the risk of increasing competition, arising both from competitors and market substitutes (e.g. online streaming). The above is reflected in a cost of equity which we used in our valuation model of 10.7%. We deem this discount rate a fair game for this business model. In conclusion, investors should consider to hold GO as part of their portfolio if they are looking for a reliable dividend paying stock and with limited downside risk. Caution should be taken, however, as the low liquidity of the stock could play a part in your investment decision, and as is a general theme on the Malta Stock Exchange be wary of potentially large bid-ask spreads when attempting to trade the stock. Disclaimer: This article was issued by Elisabetta Gaudiano, research analyst at Calamatta Cuschieri. For more information visit, www.cc.com.mt. The information, view and opinions provided in this article are being provided solely for educational and informational purposes and should not be construed as investment advice, advice concerning particular investments or investment decisions, or tax or legal advice.